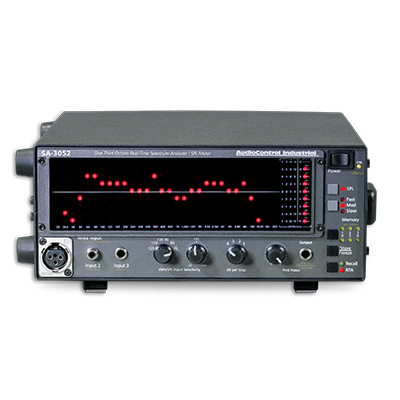 The SA-3052 is a microprocessor controlled, one-third octave, real time spectrum analyzer. It is affordable, rugged, reliable, easy to use, fast to setup, and designed and manufactured by audio enthusiasts who have been building spectrum analyzers for twenty years. This is a true professional instrument at a very favorable price which has made this family of analyzers the world’s most popular. Please allow four weeks upon receipt of your order for this quality product to be hand-built here at our factory in the Pacific Northwest.